From the Sahara to Everest, man has struggled to conquer massive geographical structures. While some complete their trek, others tragically perish, often due to unpreparedness to the harsh environs. The V Plus, a 2012 red dot award: design concept winner, could become standard equipment for the modern adventurer. 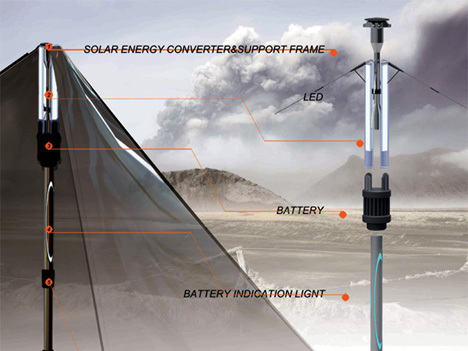 The V Plus is a disaster relief tent for those unfortunate souls marooned in disaster relief zones. Its features are plentiful and impressive. 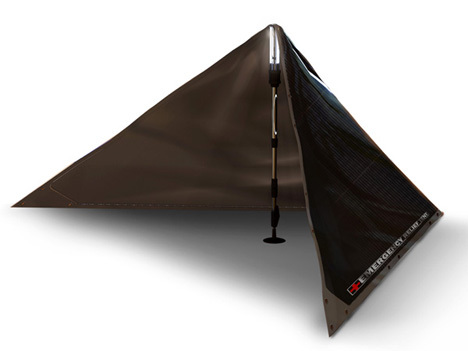 Solar cells provide energy; LED lights embedded in the tent’s frame provide light. 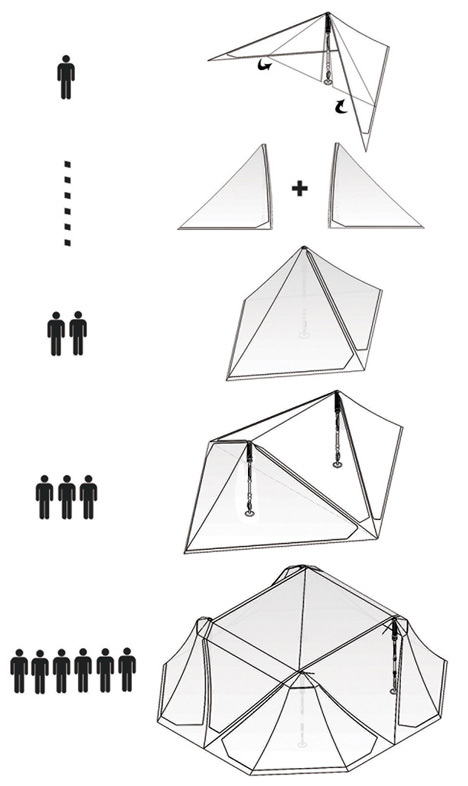 One of the more impressive features (if it’s possible to outdo solar cells) is that each individual V Plus can be connected to accommodate multiple people, possibly saving entire teams in the process. Now your goal to climb Everest is…well, not quite rational but a little more doable. See more in Unbuilt Concepts or under Technology. August, 2013.